Back in November, Broadcom attempted to purchase Qualcomm, in what would be the single largest takeover of a chipmaker ever. The initial offer was declined by Qualcomm's board of directors, as well as every subsequent counter offer. In response, Broadcom is attempting to replace some of Qualcomm's board, allowing the purchase to be finalized. Qualcomm has also been trying to purchase NXP Semiconductors, to make matters more complicated. Reportedly, Intel believes a combined Qualcomm and Broadcom would pose a serious threat to the company. While Intel no longer develops SoCs for smartphones, it still manufactures other components, like cell radios. 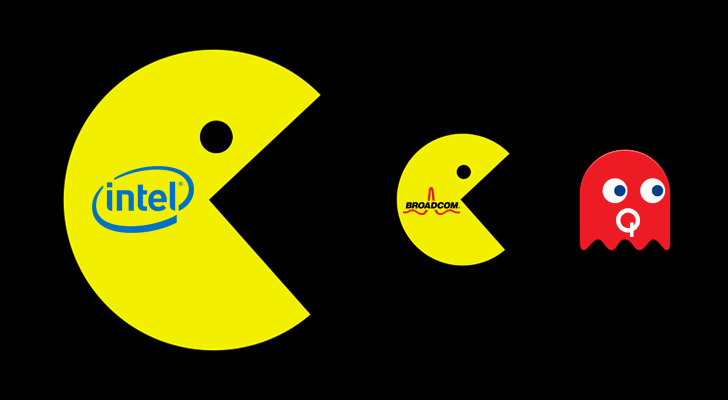 Intel is eager for the hostile takeover to fail, but if Broadcom succeeds, it may try to purchase the combined company. Intel is considering several other options as well, including making other smaller acquisitions in order to stay competitive. The consolidation of Qualcomm and Broadcom would already make the semiconductor industry significantly less competitive, and a possible buyout from Intel would only make the situation worse.